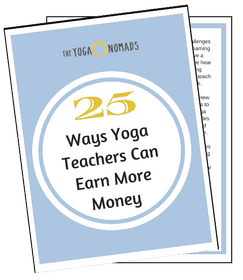 This is your ticket to finding a teaching job as a new yoga instructor. While you may dream about teaching at your favorite studio, oftentimes the “best” studios don’t hire new teachers fresh out of training. Don’t let this ruin your mojo. Most studios require their teachers to have some experience before hiring. But how can you gain experience if no one will hire new teachers? So how do new teachers gain experience? By thinking outside the studio! Gaining some teaching experience is priority #1. 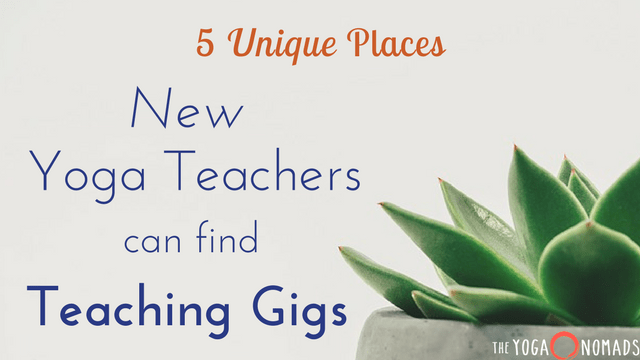 As a new teacher, it’s crucial that you’re open to teaching wherever you can find work. Getting practice teaching in varied environments will serve you well. It forces you to adapt to new environments, new students, new styles. Besides, restricting yourself to only studio gigs restricts your freedom as a teacher. For instance, some studios require all of their teachers to take their training before they can teach at their studio. Others require your sequence to follow a certain rhythm, flow or pace. I’ve even heard of studios telling their teachers what music can and can’t be played and at what volume. Aside from committing to your own personal practice as a teacher, teaching at a variety of places and spaces will help you cultivate your teaching voice and build confidence. Most yoga teachers I know either supplement their studio jobs with gym jobs, or they’ve had experience with gyms in the past. Gyms and health clubs are a great place to get experience as a new teacher. Most of them are already offering yoga, so it’s simply a matter of applying and perhaps auditioning too. Consider both big and small gyms as they’ll offer slightly different experiences. The small 24-hour gyms usually have a less consistent group of students, whereas the larger gyms may have dedicated people coming in at more routine times. In a smaller gym, there may not be as much red tape to move around and to do as you please. Yoga in the workplace is becoming very popular in the US. Mindfulness is not just a buzzword anymore. It’s a way to live a more productive life. By providing yoga in the workplace, everyone benefits! 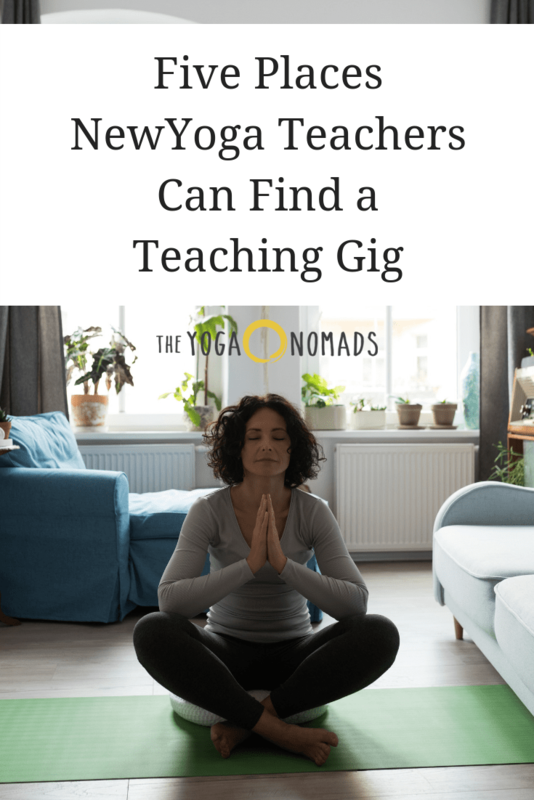 Teaching yoga at a local business or corporation provides you with a unique opportunity to share your yoga with people who don’t normally practice yoga. Personally, I’ve seen a lot of growth in both myself as a teacher, and my students at the businesses I’ve taught. Stripped away from the peaceful surroundings of a studio, the practice becomes in some ways more challenging as you and your students work more intently on remaining present. 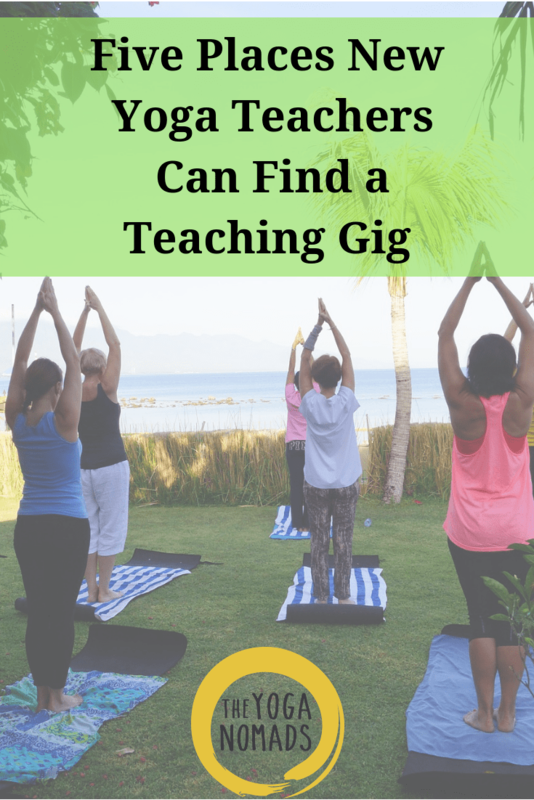 Because this movement is sweeping the nation, finding a job teaching corporate yoga is easier than you once thought. 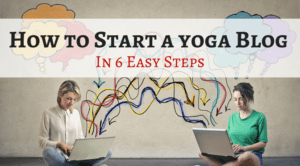 In fact, many progressive companies have been offering yoga and meditation classes for years. 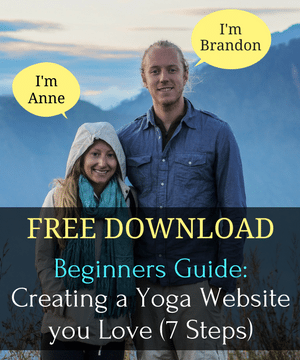 Fun Idea: Businesses like Prana or Lululemon are known for offering free yoga classes to the communities surrounding their stores. Inquire within their stores about an opportunity to teach! Local community and recreation centers offer a variety of classes at an affordable price. From pottery to taekwondo, the offerings can range quite a bit. 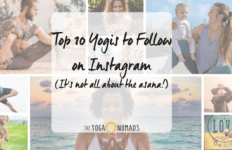 Yoga is most likely already on their schedule, but if you don’t see it – why not ask!? 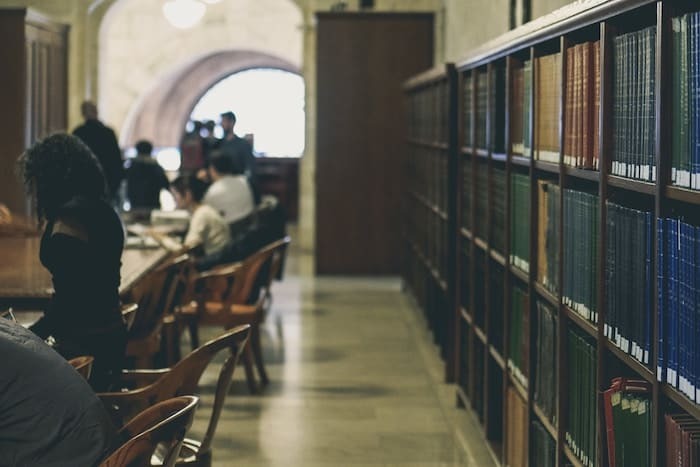 Aside from being able to get to know your local community, the experience at these centers can be so beneficial as a teacher. You’ll interact with a wide variety of students to challenge your skills and knowledge. This can be intimidating, (wait, what?! I don’t know how to teach to kids or seniors!) but a great place to reflect on what skills you want to refine. Fun Idea: Remember the co-ops! Chances are your local co-op has a separate meeting room for things like this. A local studio I taught for in Minneapolis, once offered a teaching opportunity for us teachers to instruct at the local co-op. 4) Local parks and outdoor spaces! Local parks are such a great place to gain valuable teaching experience. They come with their own unique challenges like wind, dirt and all around WEATHER, but nonetheless a great place to learn and go with the flow of it all. 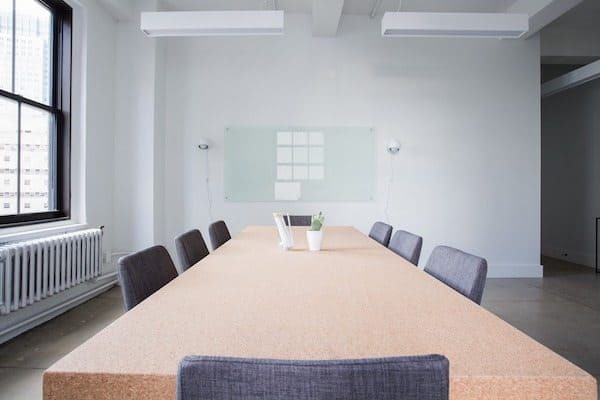 Since you won’t be provided with the resources of a studio, you’ll have to take care of any equipment you might need (props, extra yoga mats, etc) and you’re in charge of getting people to show up for class. This is where the beauty of social media comes into play. Use it to your advantage and create a weekly event to invite your friends and family. 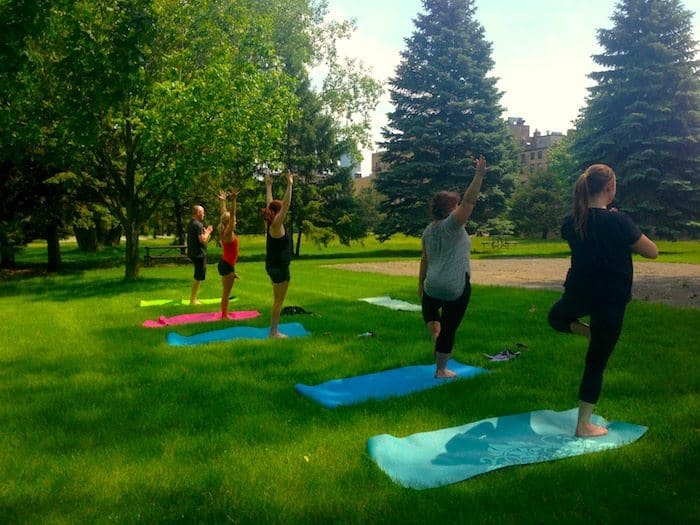 You can also consider checking out our friend Ellen’s project Yoga in Your Park – an organization bringing yoga classes to parks near you. Pro-tip: Parks can be a great place to test out ideas for workshops or other collaborations with local teachers. 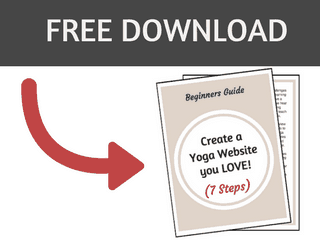 Yoga in the workplace AND yoga in schools! YESSS! 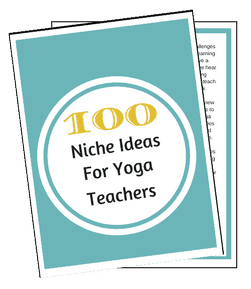 Teaching yoga in our school system has also risen in popularity in the past several years. I don’t have personal experience teaching in schools, but I would love to hear about your experience with it?! Your local library is also a great place to look for a teaching opportunity! Yes, although libraries are quiet, they often have conference-like rooms where you can close off the other area and get your yoga on. 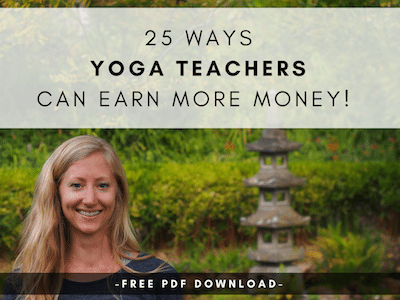 Teaching outside of the yoga studio is one of the best ways to learn about yourself as a yoga teacher. Without the confines of the studio, you have more freedom to do and teach as you please. You’ll reach a wider variety of students, which helps inform you as a teacher. 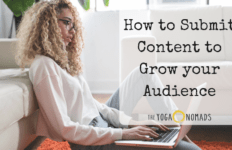 Just like your asana practice, the appearance of the “studio” doesn’t matter nearly as much as the experience the yoga class proves you on the inside. If you can get comfortable teaching in a “non-traditional” yoga space, you will quickly improve your teaching ability! Gaining experience is crucial as a new teacher. Who knows, after a few months teaching at the local gym, you might be ready to apply at your favorite studio! Are you a new teacher looking for your first teaching job? Tell me what you’re struggling with in the comments below! You’re so right. I was able to get a gig doing senior chair yoga on a very poor senior apartment complex. We have no props or mats, just dining room chairs. 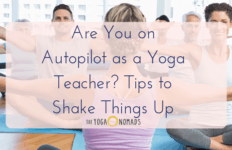 It’s really helping me to stretch and use my intuition deeply while being highly aware of safety and the many modifications the seniors need. Tami I’m so glad to hear the information was helpful. It’s great to read your reflection about how this opportunity stretches your mind and creativity while working with limited resources! Way to go!